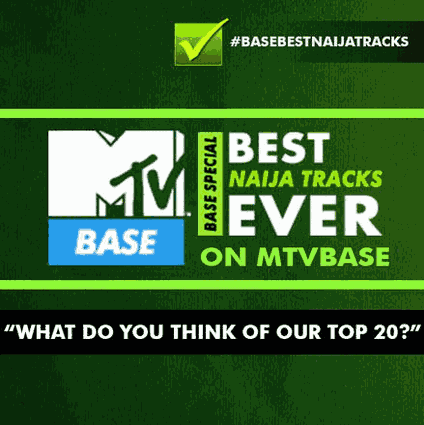 MTV Base Releases 20 Best Naija Tracks Ever, what your Opinion ? So, MTV Base Africa aired their Top 20 Best Naija Tracks Ever on 2nd of October as part of their Independence Day celebrations. An interesting list of bangers, but are they truly the Best Naija Tracks Ever ?! “On 1 October 2014, Nigeria celebrated her 54th anniversary of Her independence. There have been so many Naija musicians who have unleashed great hits over the years. While recently the likes of Davido, Wizkid and Burna Boy have shone, there are also the #Throwbacks – old school cool: no occasion or party was complete without some of these songs. Cristiano Ronaldo Coming To Manchester United In November ?